Just when we’d thought that we’ve seen every possible type of eclipse image, we’re happily surprised by the Universe. If you’re like me, you watch the original Star Wars film and wonder what kind of eclipses could be seen from the surface of Tatooine. Maybe you even wonder what things would look like if an extra sun and moon were to be thrown into the mix. How often, if ever, would such a bizarre alignment sync up? Astrophotographer Geoff Sims provided us with just such a bizarre view this past weekend. Geoff was one of a handful of intrepid photographers that braved the wilds of the Australian Outback to deliver us some stunning views of last week’s rising annular eclipse. We wrote of how to observe this celestial wonder late last month on Universe Today, and documented the efforts of photographers, both Earthbound and otherwise, the day of the eclipse this past Friday. For this amazing image, Geoff positioned himself along the track of annularity in the Great Sandy Desert in Western Australia. Even the name of the site, the Plutonic Gold Mine outside of Newman, Australia couldn’t be beat! Mr. Sims used a Canon Mark III DSLR camera with a 500mm lens shooting at 1/1,000th of a second exposures at a focal ratio of f/8 and an ISO setting of 100. Bailey’s Beads captured very briefly during last week’s annular eclipse. (Credit: Geoff Sims). An annular eclipse occurs when the Moon eclipses the Sun near apogee, or its most distant point in its orbit and is hence visually too small to cover the Sun as seen from the Earth. A similar eclipse occurred over the Pacific and the western U.S. last year on May 20th, leading to a series of “horned sunset” photos taken across Texas and New Mexico. But what is the most astonishing aspect of the eclipse sequence is the extreme distortion occurring across the very bottom image sitting on the horizon. When you’re looking low to the horizon, you’re viewing objects through a thicker cross-section of the atmosphere. This is what is termed as a higher air mass, and most astro-imagers avoid it entirely, preferring to catch objects with as little distortion as possible as they transit across the local meridian. This distortion can be extreme enough to result in atmospheric refraction of rising and setting objects like the Sun, Moon or planets, causing them to appear moments before or after they actually rose or set over the local horizon. In the case of the bottom image, the lower limb of the solar annulus (the technical name for what folks call the “ring of fire” seen during an annular eclipse) is actually distorted enough to appear along the rim of the local horizon! To our knowledge, such an extremely distorted eclipse has never been documented before. One also wonders if a “green flash” could be captured by a properly positioned observer on a mountaintop or out to sea during a sunset or sunrise annular or total solar eclipse. 2013 will offer one more chance to try to repeat this feat. On November 3rd, a hybrid solar eclipse will race across the Atlantic Ocean and central Africa. This is an eclipse that is literally an annular across a portion of its track and a total across another. The eclipse will begin at sunrise just south of Bermuda and end at sunset in eastern Africa. The maximum period of totality is 1 minute and 40 seconds off of the coast of Liberia, and the southern regions of Ethiopia offer the best shot at a sunset eclipse. Tantalizingly, the Florida Space Coast will get a rising partial eclipse only a few percent in magnitude. Kudos to Mr. Sims for providing us with an unforgettable view of this rare cosmic spectacle. Australia won’t see another total solar eclipse until July 22nd, 2028, and another purely annular eclipse won’t occur until April 29th, 2014 across a very small section of the Antarctic. 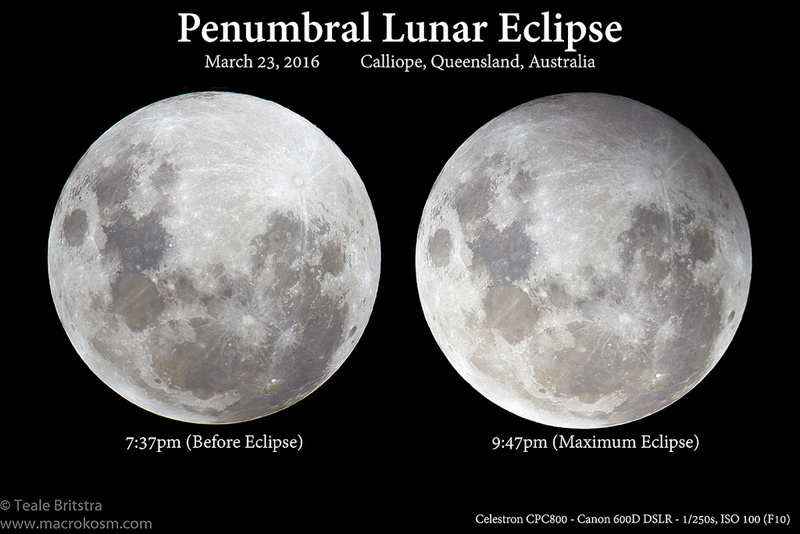 And next week, we’ll have a very shallow penumbral eclipse on May 25th, and event is so subtle that few if any will notice it. Still, it is from such humble beginnings that great things are made, as we witness the birth of a new lunar saros… stay tuned!